Training for Tough Mudder, weeks 3-4. Week 3 is a low intensity week, coming in after the heavier week two workouts and alongside weeks 3 & 4’s higher intensity endurance work; this keeps the pace from being too overwhelming early on. Week four picks up the intensity again and carries on the strength building buy increasing the amount of working sets. Endurance wise, we drop down a circuit, but also lose a rest period. On top of that each exercise now lasts 7 minutes, but you only do 5 exercises a circuit instead of 6 (alternating an additional sprint or high row between circuits 1 & 2). This is to maintain the hour and a half training slot. This is a big jump for endurance and no means an easy task, particularly with the lunges. 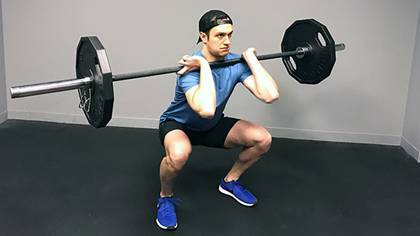 But lunges are massively important in a tough Mudder set up as, unsurprisingly, you’ll wade through a lot of thick mud and the ability to fully drive your legs without burn out is massive. Want to read more? Get the full workout list and a lot more in depth detail on Mikes own blog! Find the full article at www.getfitptblog.wordpress.com, which include run times and the endurance workout to prepare for tough mudder!